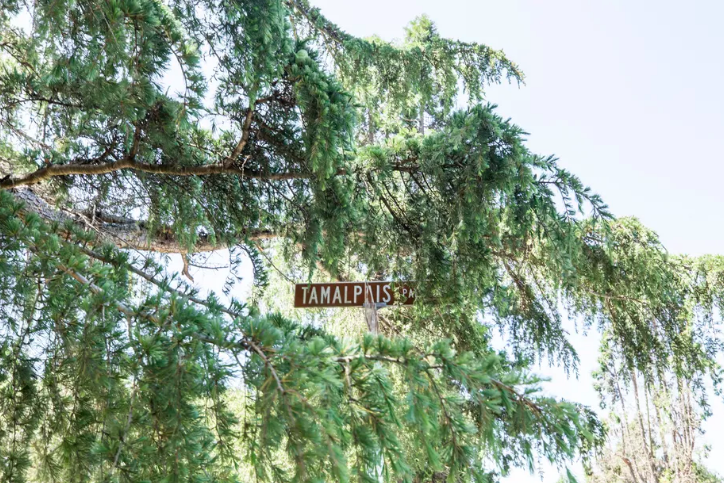 As wildfires continue to rage in Northern California, one East Bay group is taking steps to survey and repair evacuation routes in hillside communities. 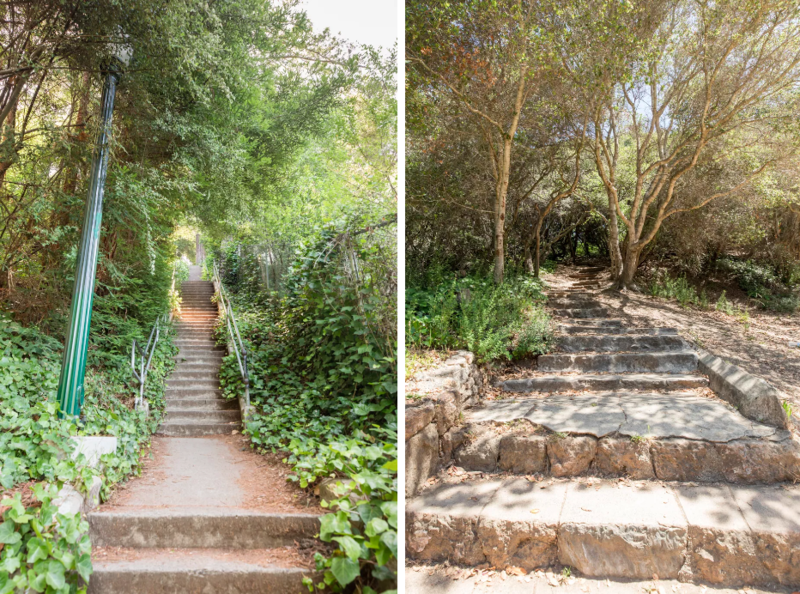 On Sunday, July 22 the Berkeley Path Wanderers Association (BPWA) will undertake a survey of the city’s 136 paths. About 70 volunteers have already signed up to walk one of 12 loops, each covering several paths and ranging from one to four miles. Working in small groups, the volunteers will be provided with survey forms, maps, and clipboards, and will spend several hours detailing the condition of each path. In Berkeley, thousands of people live in the hills, in neighborhoods which are only reachable by windy, narrow streets. 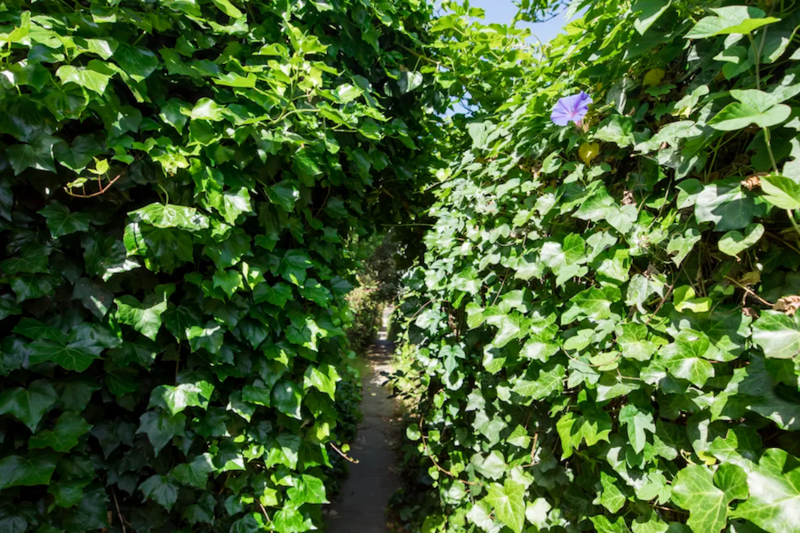 Over time, paths get overgrown and sometimes almost disappear amidst the vegetation. For that reason, it is essential that the city’s pedestrian paths be as visible, safe, and accessible as possible, said Neff. Unlike the roads, which tend to meander down, the paths offer a straight shot downhill. However, most of the paths are not continuous: It is not possible to start at the very top of the Berkeley hills and walk straight down. Residents have to know where to turn at each street to search for the next pathway. BPWA has printed maps that show where each path is located, but most of the paths are no wider than driveways and take some practice to locate. Right now the signs identifying the paths are no larger than street signs, and they are not reflective so they would be difficult to see at night or in smoky conditions. The path signs are small, and not at eye level. Some are partially hidden by vegetation, and hard to find. The paths are a great way to evacuate quickly, especially if the roads are blocked by downed power lines or fallen trees, he said. May is working to release a new emergency evacuation map for the city by the end of the summer. The new map will identify which streets are wide enough to accommodate two-way traffic, and which will become one-way up or one-way down in an emergency. May will work with BPWA to identify which paths are in the best shape and location to serve as major evacuation routes. The survey will be helpful in this process, said Neff. “We will now be able to put together an up-to-date spreadsheet that will highlight the current condition of paths; where new signage is needed; where handrails currently exist and where they are most needed; what steps need repair; what paths need weeding and sweeping,” and more. The paths are quite narrow, and hard to distinguish from the pathway to someone’s house. In foggy or smoky conditions, people can lose valuable time getting lost. Only about a third of the paths have handrails, and very few have lighting. Some paths currently have incorrect signs, and other signs are hidden by vegetation. “We need to prioritize what needs to be done to improve the paths,” noted Neff. BPWA was formed 20 years ago as a direct result of the 1991 Oakland Hills fires that killed 25 people. Even though the paths are situated on city property, Berkeley had stopped maintaining existing paths or building new ones due to lack of funds. 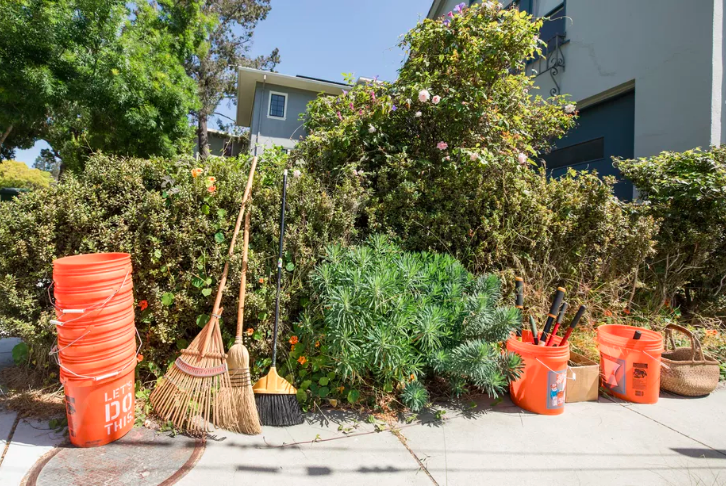 A group of citizens, spearheaded by three women, realized that they would have to take over the constant clearing, weeding, and path-building themselves if they wanted these evacuation routes to be passable when an earthquake or major wildfire occurred in their neighborhoods. 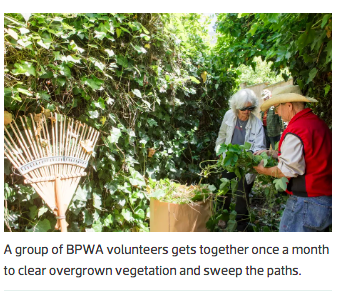 The Path Wanderers now has roughly 600 members, and organizes monthly path clearing “parties” where about a dozen volunteers descend on a particular path to do weeding, pruning, and sweeping. Another contingent has developed expertise in building and repairing paths with wooden railroad ties. The group does not repair any of the cement paths, but they do coordinate with the city and a city-approved contractor to install handrails on selected paths. Since handrails cost about $15,000 per stretch (between two streets), the group is limited in the number of handrails it can fund in any one year. As a result of a BPWA’s request, the Berkeley City Council has just appropriated $6,000 for a pilot path solar lighting project. And May said that the fire department might have some funding from a disaster preparedness bond measure for reflective signs. “Getting people evacuated in case of a fire or earthquake is what keeps me up at night,” he said. 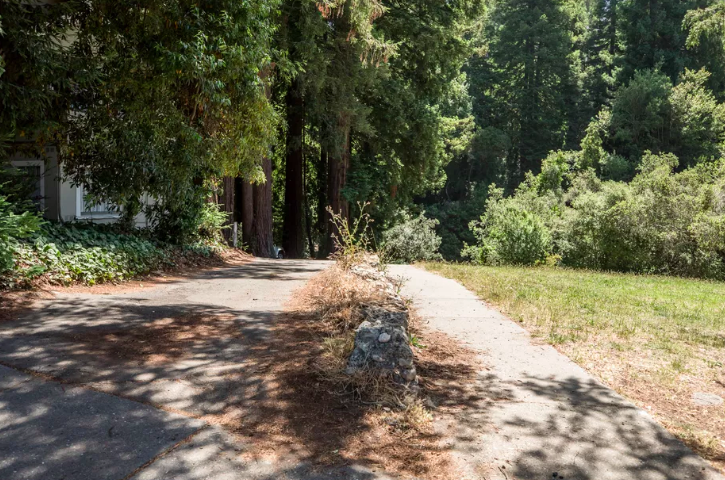 Charlie Noyes lives on Panoramic Hill, which realtors like to call “the most romantic hill in Berkeley.” It is also known as “cardiac hill” by the fire department, because of its hairpin turns and the narrowness of the winding road. Parts of Panoramic Hill—including Noyes’ own house—lie right over the Hayward Fault. Noyes is exploring several ideas to make the paths safer. One is to figure out a way to put flashing lights at all the key path intersections, so people can easily find them at night or in foggy or smokey conditions. Approximately 500 people live on Panoramic Hill, and the average age of the residents is 60-plus. “How do we get these people off the hill?” asked Noyes. “A portion of our paths are steep stairways, and the majority don’t have handrails.” To help elderly residents with limited mobility down the hill, “maybe we could get some stretchers, or some kind of two-wheeled vehicle that could coast downhill, like a scooter,” he said. 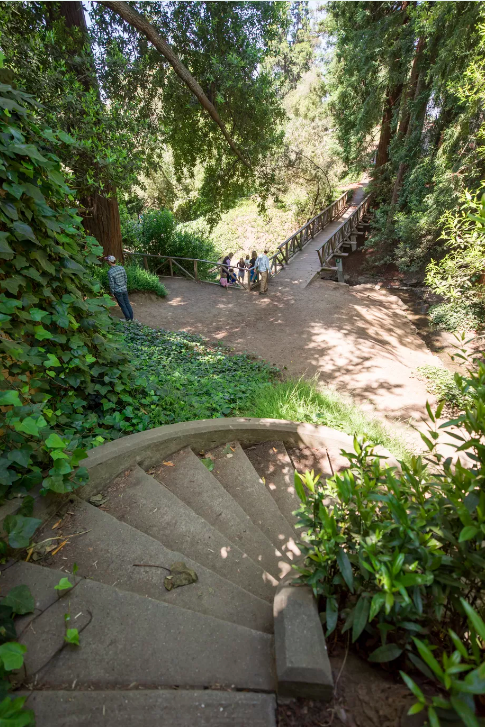 These beautiful, curved steps would be an easy tripping or falling hazard in dark or smoky conditions, or with a crush of people bearing down. The addition of handrails would make them much safer. The Path Wanderers are partnering with the Berkeley Disaster Preparedness Neighborhood Network (BDPNN) and Berkeley CERT and Inter Neighborhood Network (BeCERTAINN) for the upcoming survey. BDPNN is a nonprofit that supports neighborhood groups prepare for disasters. Getting hill residents familiar with paths as evacuation routes is an “on-going effort,” sad Peattie. He added that there are people who live in the hills, but are not aware that the paths exist, or how important they could be to survival in an emergency. “We have to remind them that they may not be able to use their cars,” he said. 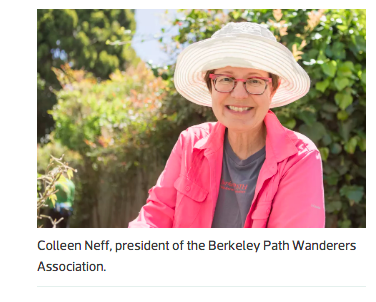 While many communities in the Bay Area have pedestrian paths—San Francisco, Oakland, El Cerrito, and Kensington, for example—Berkeley seems to have the most active group of volunteers working to build and maintain paths, said Neff. The upcoming survey will allow the group to be even more strategic in its work.